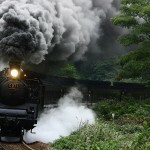 SL Yamaguchi-go Steam Train, an engine model C571 steam locomotive train which runs through the unspoiled countryside between JR Shin-Yamaguchi Sta. 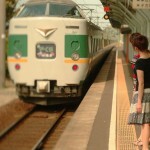 (Yamaguchi) and Tsuwano Sta. Its beautiful black solid iron body impress all the SL fans. 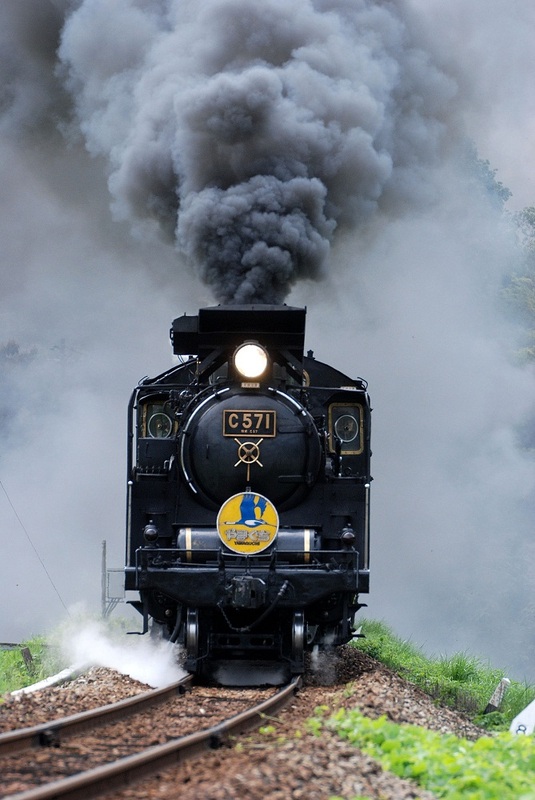 Even if you are not a SL fan, your heart will beat fast when you see it coming as it giving off the steam smoke with the strong whistle. SL Yamaguchi, which is known as the nickname of “The Lady”, is a retro flavored five coach train, and each of them is designed differently. 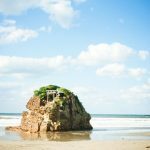 You can reach Shin-yamaguchi Sta. easily by bullet train and then change the line there and let the two hours of trip started. It is recommended to reserve the observation coach or open the windows to enjoy the lovely scenery, however, please be careful when it go through the tunnels, Hurry go back inside and close the windows, or you will find yourself sooty when it gets out. At the last stop, an old castle town of Tsuwano is waiting for you. 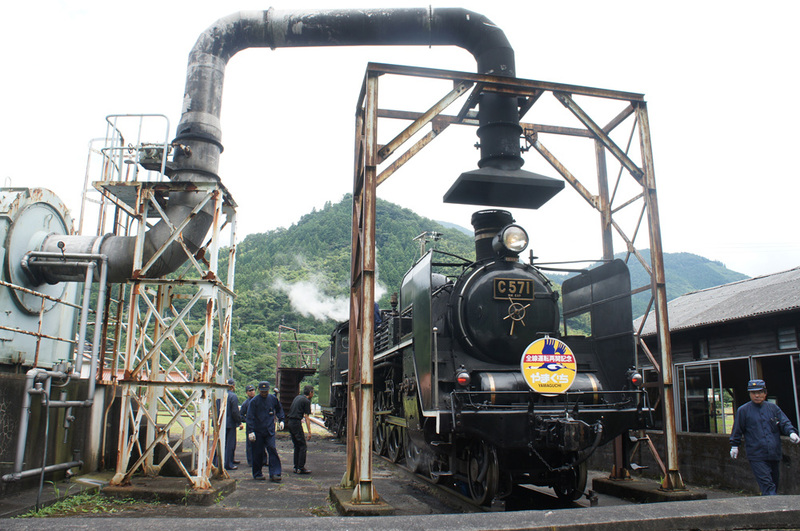 Not only sightseeing spots, you can see another attractive part of this SL train trip: you can see the SL train turn its direction on the turntable at the Tsuwano Station to make a return trip to Shin-yamaguchi. 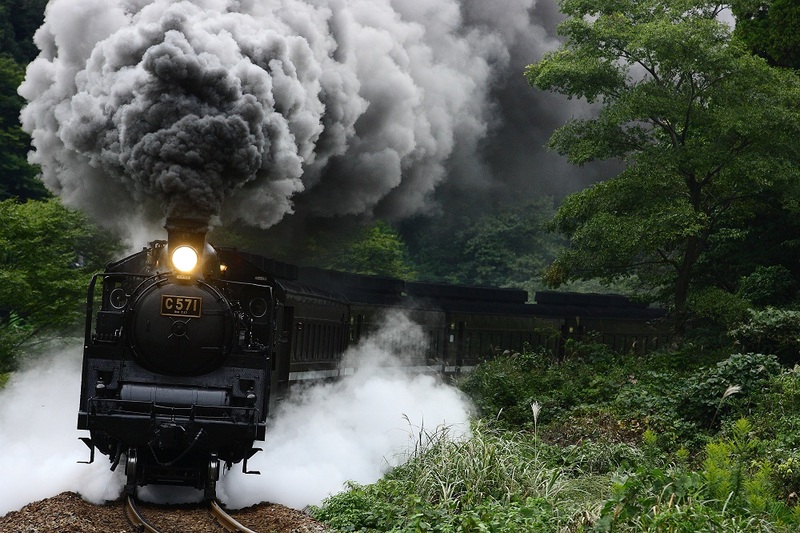 The Steam Locomotive Trains in Japan were put out of service from the end of 1960s, and Steam Locomotives on the Yamaguchi Line also disappeared in 1973. 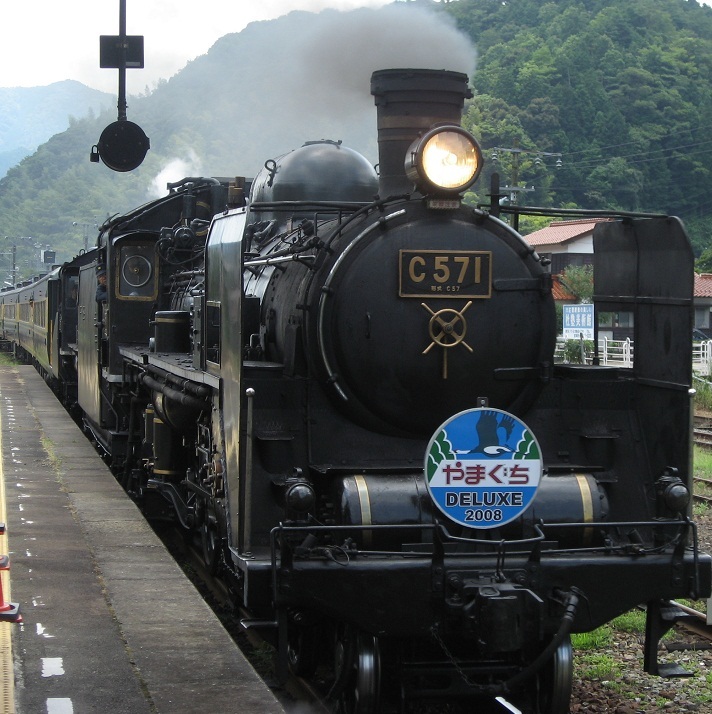 However, a lot of SL fans were eager to restore SLs, it was decided that the traction engine Model C571 would run on Yamaguchi Line again. The summer of 2013, heavy rain hit Shimane several times, leaving damages across the Western Shimane. JR Railway’s lines were seriously damaged and some sections have been out of service. 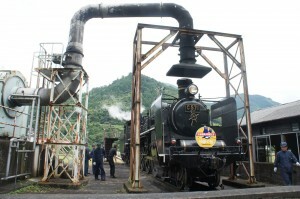 SL Yamaguchi was also put out of service for a year and its absence was lamented by not only train fans, but also many locals and sightseers. The beloved SL train made its come back in the next summer, marching proudly through the unspoiled nature again and welcomed by a lot of people. Then this year August 23rd, an event took place for cerebrating a year of operation after the come back. 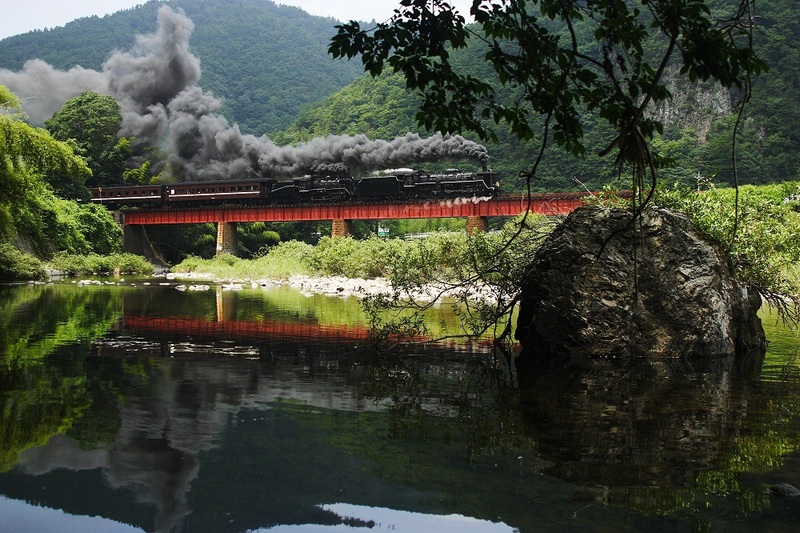 *SL Yamaguchi is a reserved -seat train. You need a railway ticket (You don’t need it if you are a Japan Rail Pass holder) and also need to reserve your seat in advance (Rail Pass holders also need to pay the fee for the reserved seat ticket). 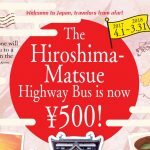 You can purchase tickets or reserve your seats at ticket reservation office Midori-no Madoguchi at JR stations or major travel agencies . Tickets can be purchased from a month in advance.